1) The house chosen is in Rosemary Beach. What’s your connection to the development? What is special about Rosemary to you- as a designer- and personally if different? 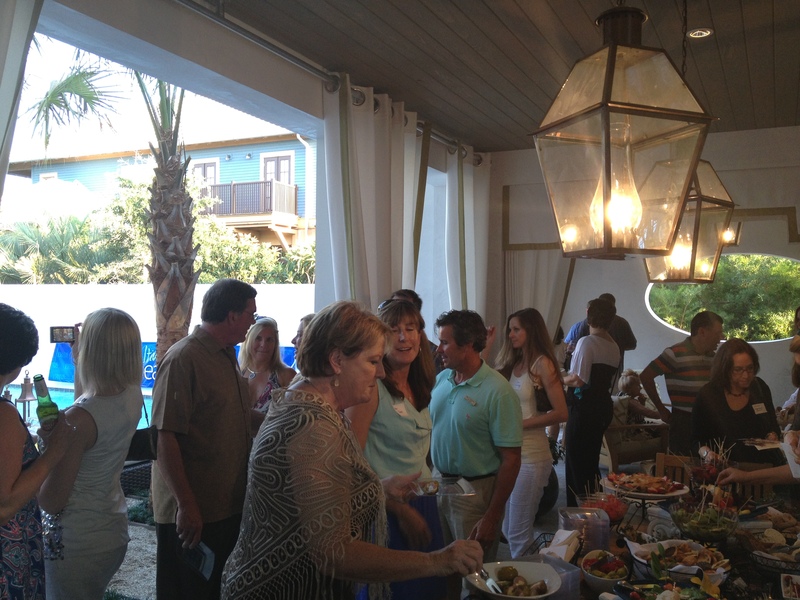 I love Rosemary Beach because it has a very different feel for a Gulf front community. It isn’t too literal as many beach communities are. When something becomes too literal, it tends to become cliche. 2) What sort of “feel” does the floor plan have? The floorplan is open and designed to incorporate the outdoor living space. The L-shaped plan maximizes the exposure each room has to the courtyard. 3) Did anything about the house “pop” to you? Was there anything specific that drew you in? Anything in particular that you are excited about? This house is meant for fun. It has an amazing game room, media room, a great gathering space, and beautiful kitchen with a scullery that is perfect for entertaining. Everything about this house seems to feel like it’s alive and ready to be lived in and enjoyed. 4) When you first saw plans, what was your initial vision for the space? Is there anything particularly challenging? Casual sophistication. There wasn’t anything that was too challenging–it’s a well designed house. 5) Has that altered at all as you move forward? If so, what has changed or evolved? This house was a little different than any I have done before. It is a little more of a glamorous/modern feel than most of the interiors I do, which was really fun. It’s so nice to be able to stretch your arms out a little, design-wise and this project gave me the freedom to do so. The home’s foyer is one of my favorite rooms. It is unexpectedly dramatic for a house at the beach while still being simple and airy. 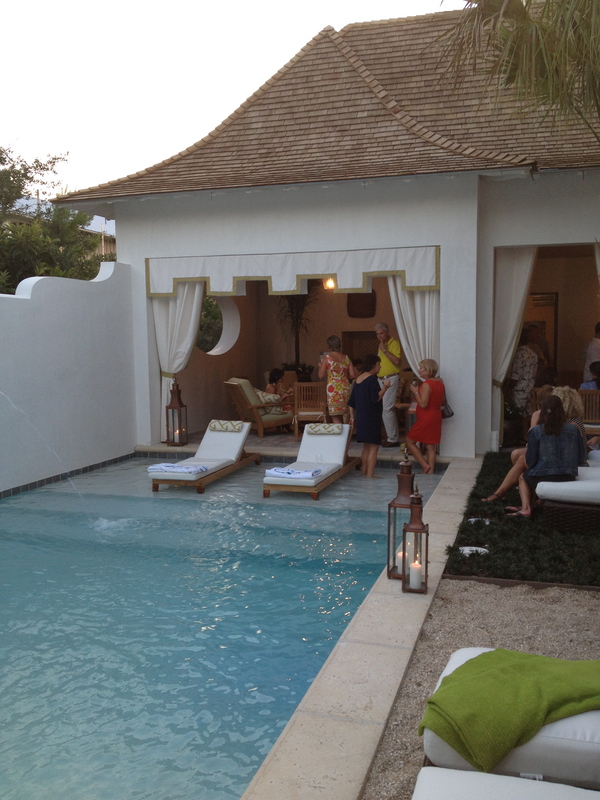 The high cove ceiling, fantastic draperies, and immediate view of the pool and outdoor living space draws guests in. I wanted to create a sense of curiosity to bring the guest into the home. 7) What room/ rooms do you think will most appeal to visitors- please elaborate on what they might expect. 8) What is the general vision for the home? Was there something specific that inspired you about the home? 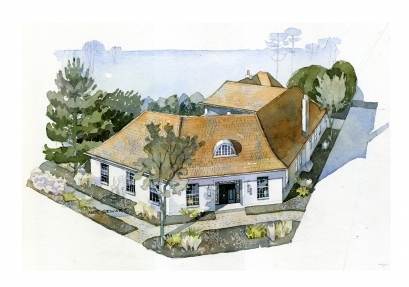 The home itself is designed in the colonial vernacular style which is very fitting for Rosemary Beach. To contrast, the interior takes modern, more sleek elements and pairs them with classic furnishings. Because this is the beach, nothing is too serious. Many of the fabrics were chosen to bring out the playfulness that is inherent in a beach house but still keeping the elegant bones that the house calls for. 9) In keeping w/ above question, – were you also inspired by something you have recently seen? A trend? Something in nature that lent to your design vision? Living on the Emerald Coast has always been inspirational in my designs. Nature is a huge influence in all of our lives. From color palette to textures, our environment always reflects my aesthetic. 10) Is there an overall palette/ color choices or textile preferences for the home? In keeping with this, is any room “popping” more than another? If so, why? Honestly the two spaces that I love the most are the boys’ and girls’ bunks. Nothing was more fun than going to stay at the beach as a child, and I couldn’t imagine anything better than staying in a girls only bunk room. I really wanted these rooms to stand out from the rest of the house. They are very special. 11) What role will Drapery play in your overall design feel? This home has so many “hard” elements–from the Peacock Pavers on the floor to the wood paneling throughout the house. Draperies are crucial to making the space feel cozy. The last thing that anyone wants to experience at the beach is the feeling of being in a cold, industrial space. 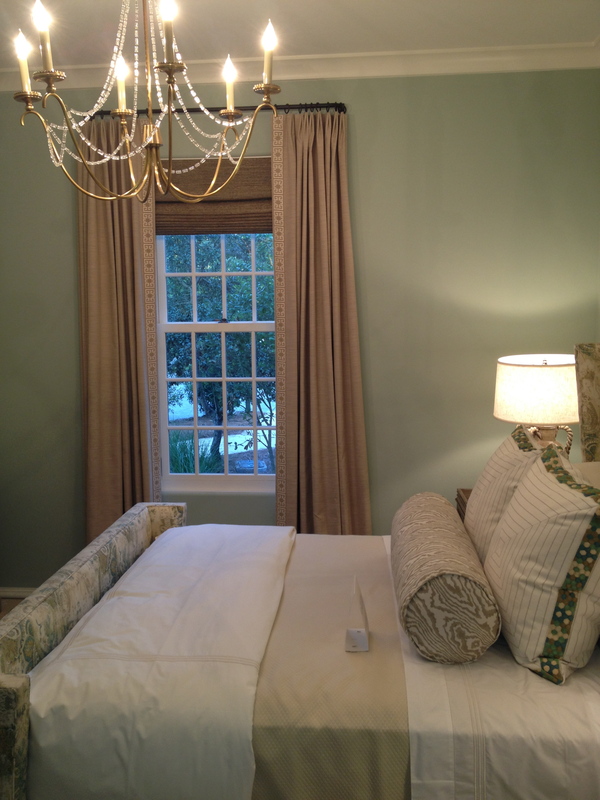 Draperies soften a room and provide that airy feeling that one expects from a beach retreat. 12) How important is Drapery to you as a designer? Please expand if you can. 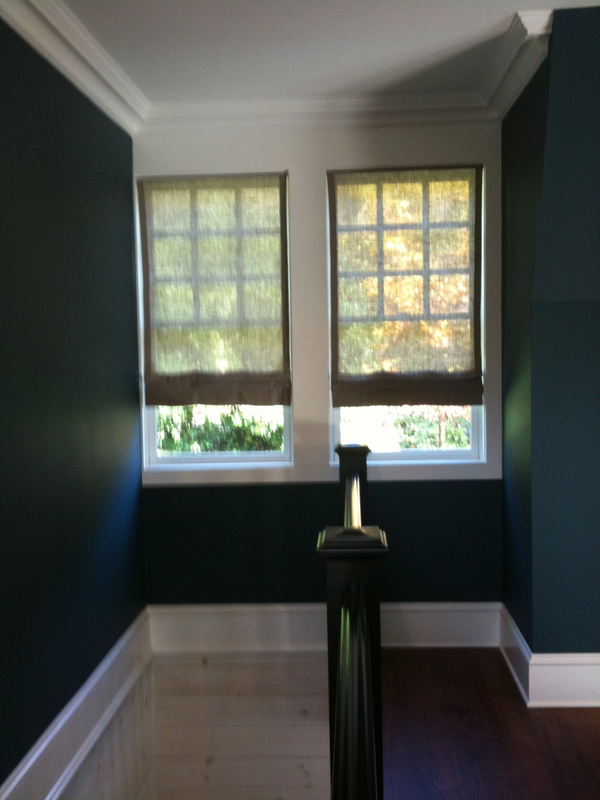 Drapery is so, so important to a room. It is the finishing touch so to speak. I mean, what is a wedding dress without a veil? Every room needs softness, layers, and dimension. Drapery is the only way to acheive this feeling. 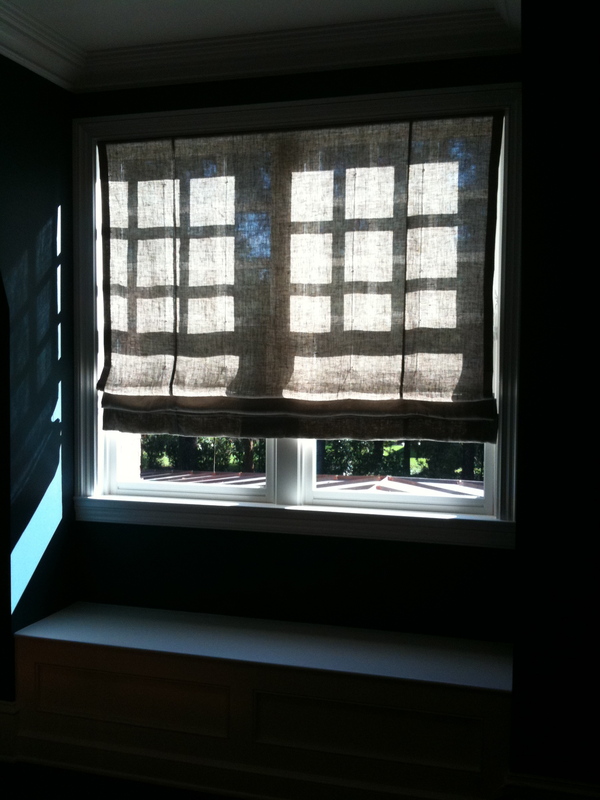 13) As a talented designer, what trends do you see in window treatments? Do you see anything changing? Old designs going out and new coming in? Interestingly enough, I see a lot more details going into drapery now than a few years ago. The “keep it simple” style has been traded in for the trims, valences, and unique pleating styles. That is not to say window treatments are going frumpy. I think one of the more exciting things happening in design right now is pulling these more traditional elements into design in a modern, playful way. 14) Do you, as a designer, have any rules of thumb you follow for drapery treatments? What do you like to see? What do you notice first about drapery- what dictates good drapery and bad? One of my biggest pet peeves are wimpy looking draperies–height and the correct fullness are crucial. It is also important that draperies are made to operate. They need to be full enough to cover the window when closed. Lining is also crucial. When a client is going for the open, airy look, no lining is fine, but nothing makes a fabric look more expensive than it being lined. 15) Give some feedback please, on sponsors you are working with and how collaboration is enhancing your design vision. This project has been great because I was given the opportunity to work closely with our vendors we use day in and day out as well as establish new working relationships with vendors Coastal Living has brought in. For instance, I discovered Sunbrella makes great outdoor throws (who knew!). I have enjoyed working with our reps to determine what ways we can best showcases their product while being fluid with the overall design. They have been very helpful! 16) Please add anything you’d like to share about this project. Is there anything you are excited about? Are you trying anything new? As a designer, it is crucial to grow and develop. This project has given me the opportunity to squeeze a lot of growth into a short period of time and for that I am grateful. We have some really great art that will be on display, and that excites me! Wow! Thanks Erika! So much talent and insight into fabulous design. 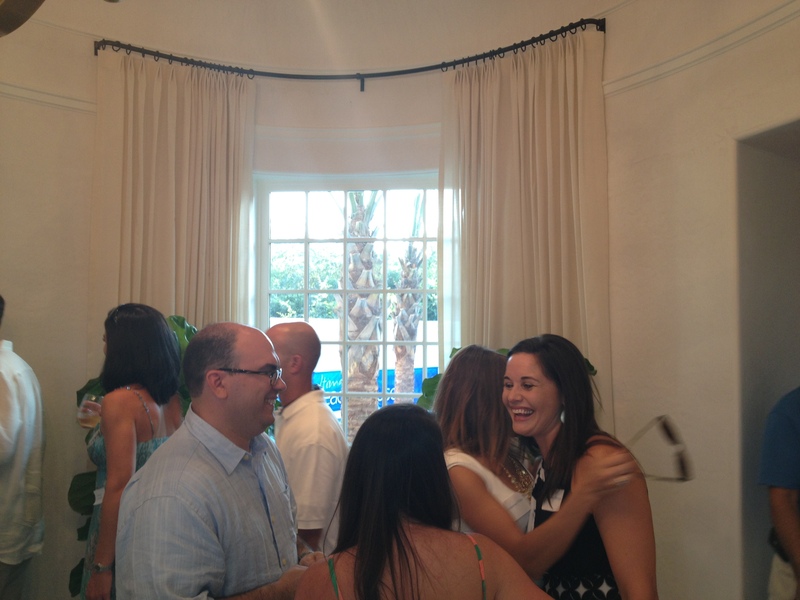 Please make sure to visit the Coastal Living Showhouse website @ http://www.coastalliving.com/homes/idea-houses/rosemary-beach-ultimate-beach-house-00414000073712/. 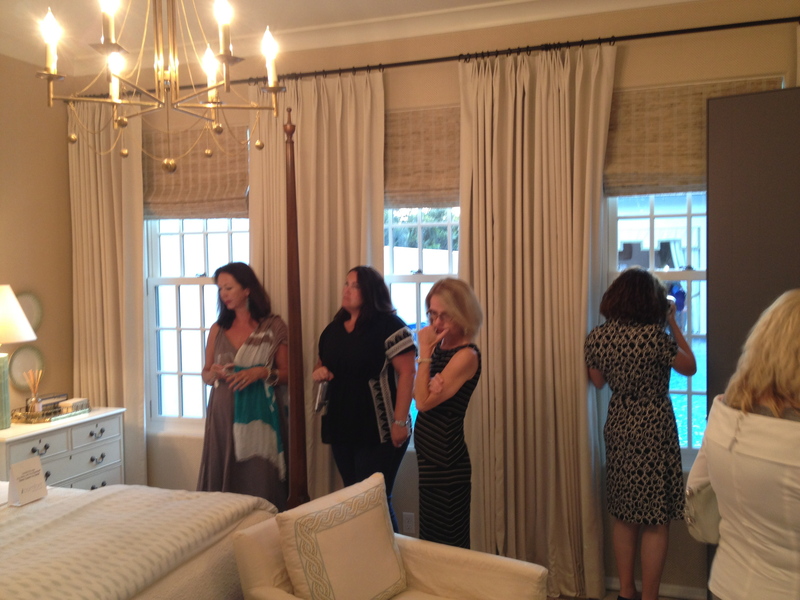 The magazine will feature the home in the October 2012 issue. So keep a look out!